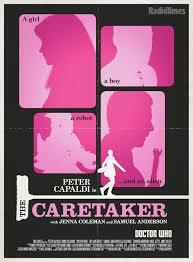 When I saw the preview for “The Caretaker,” my first thought was, “That looks an awful lot like ‘School Reunion. Watching the episode, that feeling didn’t necessarily go away. And that may be part of the point. Each episode this season has seemed echoed a previous installment from the first seven or so seasons of modern Doctor Who. It’s almost as if Steven Moffat want to show us what the new Doctor is like (and attempt to answer the question of whether or not he’s a good man) by putting the character into situations similar to those we’ve previously seen. Yes, this time around he’s masquerading as the caretaker of a school instead of a teacher, but the premise of battling an alien menace in the familiar surroundings of a school is similar enough. Odds are that 1946’s Without Reservations isn’t on many cinema-philes list as a must see movie. 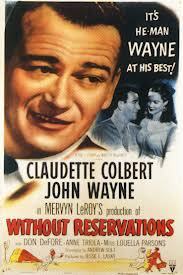 Without Reservations is not your typical John Wayne film. Wayne has a firmly established on-screen persona and a lot of his roles are different shadings of the rugged, all-American alpha male figure. And while I think Wayne is a better actor than others give him credit for, Without Reservations isn’t exactly a showcase that is going to convince anyone to change their assessment of him. Without Reservations is a romantic comedy with Wayne in the lead role, fully playing off his screen persona. In many ways, it’s similar to what Arnold Schwartzenegger did in his roles in Twins and Kindergarten Cop. The Doctor and Clara are forced to help two others rob a seemingly impregnable bank. Because the bank employs a life-form known as the Teller that can sense guilt and then consume the mind of the guilty party, their memories are wiped of their motivation and knowledge of the mastermind behind this plot. Fat Boy vs the Cheerleaders is one of those cases of me picking up a book based solely on its title. I defy you to pass that title in your local bookstore or library and not, at the very least, be curious. When Gabe discovers that the proceeds from the school’s vending machine have been redirected from the band program to a new cheerleader dance squad, he sees red. And not the Mountain Dew Code Red that he’d been purchasing from the machine with his hard earned, part-time job money at a local doughnut store. With passion and zeal, Gabe throws himself into figuring out how this has happened and what he can do about it. Starting with giving up his beloved soda, Gabe embarks on a campaign to find what happened to the band’s funding and what, if anything, he can do to get it back. Over the course of the novel, Gabe alienates school administration, his father and some of his older friends while learning a bit more about how to make his voice heard, gaining new friends (and possibly a girlfriend) and the value of getting to work on time. From the beginning, we know that Gabe has gone too far since the story is told from Gabe’s side of the conversation with his lawyer. This is my first time reading a novel by Geoff Herbach and I can say it likely won’t be my last. Gabe’s story is funny and compelling, helped a great deal by Gabe’s asides and comments on the events unfolding. Gabe’s zeal in getting the band program reinstated, all while trying to make better choices only to be thwarted by himself time and again makes for a poignant portrayal. Sometimes Gabe doesn’t realize he’s gone to far until it’s too late and the book wisely allows us to see that Gabe faces consequences to his actions, even if they prove to be successful. While the book is self contained, I can’t help but feel like I’d enjoy another book with Gabe, if only to see how things develop from here. Can he maintain the new workout regiment and diet that he and his grandfather are doing? 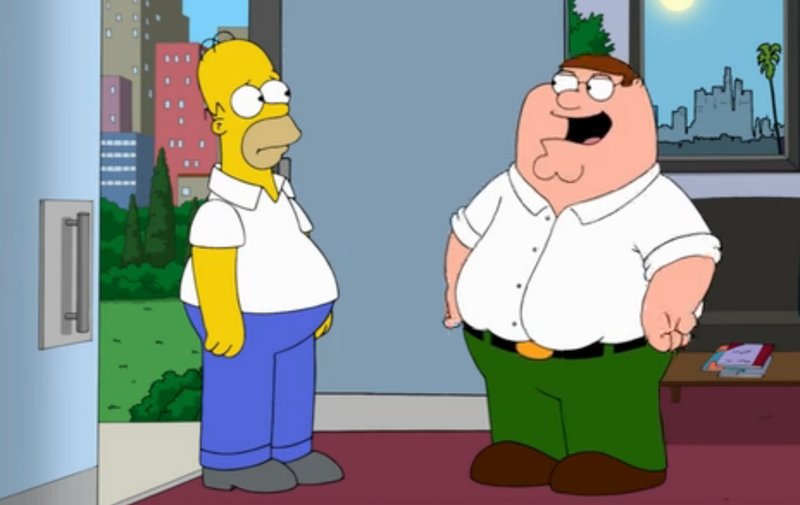 Can he continue to work on his relationship with his dad? 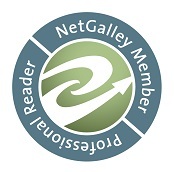 And what about the new friends he gains over the course of this book? If there’s a linking theme to series eight, it appears to be a deconstruction of the Doctor as a hero. After renewing its title character in “Deep Breath,” the last three episodes have all been about examining aspects of the Doctor as a hero. “Into the Dalek” was about how he’s defined by his mortal enemies and his hatred of them. “Robots of Sherwood” looked at the Doctor in comparison to the mythological hero of Robin Hood. 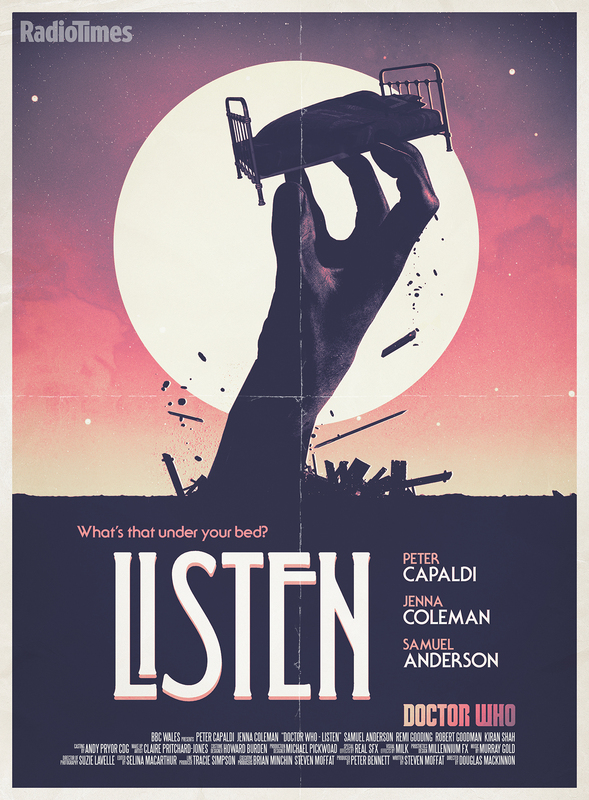 And now we’ve got “Listen,” a story that asks the question of what is the Doctor afraid of and where did that fear come from? As an hour of television (or 45 or so minutes anyway), “Listen” is dark, creepy, off-putting and, for the most part, effective. The pervading sense of discomfort and of everything not being quite right worked very well and the idea of examining the Doctor’s fear as a young boy is an interesting one. I’m sure that fandom will be fairly polarized on the final ten or so minutes of the story, but I found that it tied in fairly well with the mythology we’ve seen established in the modern series (and the hints the Doctor has dropped about what happened when he looked into the vortex). Of course, the assumption that the young boy in the bed was the Doctor is probably the one Steven Moffat wants us to jump to and there may be a twist or revelation set to come later this season that undoes those assumptions. From the opening shot of the Doctor sitting on top of the TARDIS (which I figured was only created for the promotion leading up to the season and wouldn’t necessarily be used in an episode) to the final frame, the story was replete with visual style. It also played with the mechanics of time travel when it came to Clara and Danny’s first date. I will admit I found it interesting that Danny is objects to Clara’s kn0wledge she can’t or shouldn’t have but is later willing to set this aside when she shows up at his apartment at the end of the episode. As the story progressed, I found myself wondering if Danny isn’t meant to be some kind of mirror for the Doctor and that could be part of the reason that Clara feels such a strong attraction to him — one that’s strong enough for her to go back twice to Danny after having some time to think about and ponder her actions. So far, it appears Danny isn’t in on the secret that Clara travels through time (unless I missed something in the final conversation between the two) and it should be interesting to see if and how long this particular secret can or will be kept. I know I’m a bit behind on my viewing but I’ve tried to stay away from heavy fan-based discussion of the episode so I can avoid SPOILERS. However, watching “Listen” I can’t help but hear the vocal group who is dissatisfied with the season so far (I’m not one of them) being even more dissatisfied with this installment and how it all ties into the War Doctor. I’ll admit that I really liked the tie in to the War Doctor and the fiftieth anniversary story and that I have faith in Moffat to execute whatever long term story he’s trying to tell here. The thought of the Doctor being scared of something under the bed and driven by the fear to confront monsters across the universe and through space and time works for me. Once again, Peter Capaldi nails his performance as the Doctor and he’s becoming more assured with each installment. Again, I may not be the right fan to ask about this since I’m also a huge fan of another actor who played the Doctor with a Scottish accent. (In fact, Sylvester McCoy is my favorite Doctor). And yet as strong as the first thirty-five or so minutes were, there was something about the last ten or so minutes that felt a bit off. I can’t quite put my finger on it, but hopefully repeated viewings will help it become clearer. Jack Benny got a lot of mileage out of this perceived cinematic failure on his radio and television series. Listen to just about any episode after this movie was released and you’ll likely hear Benny or one of his ensemble quip about its failure (or perceived failure). It’s referenced enough in the shows to make me curious to want to seek it out and see if it’s really as bad as everyone says it is. I have vague memories of seeing it on VHS years ago and thinking it wasn’t nearly as terrible as Benny and his cast made it out to be. 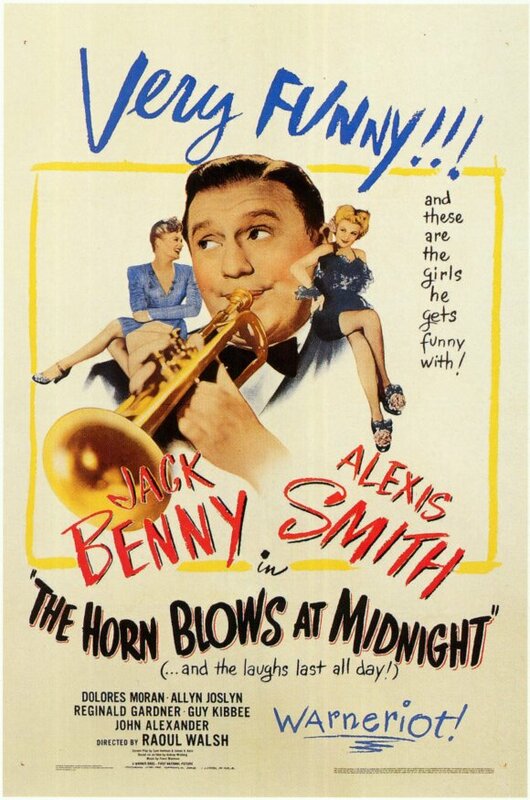 But I couldn’t be sure so when it recently came in TCM’s rotation of films, I decided to give The Horn Blows at Midnight a second look. And while it’s certainly no cinematic masterpiece, I think it’s a movie that isn’t nearly as terrible as it was made out to be on Benny’s programs. But it’s not exactly a cinematic masterpiece either. I feel like it’s in a similar vein as It’s A Wonderful Life — a movie that audiences weren’t quite ready to embrace in its initial release.